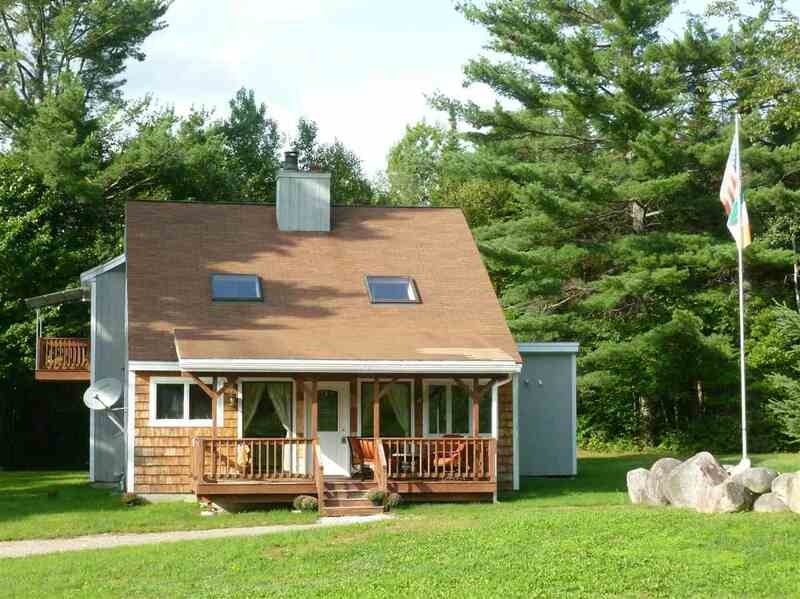 Beautifully renovated 3+ bedroom, 3 bath home on over 2 acres in the heart of the White Mountains. Just minutes to both Cannon Mt and Bretton Woods, Franconia and Crawford Notch(s). Cross country ski, bike or hike right from your front door. Snow mobile trails close by. This spacious home boasts a fireplace and 2 separate gathering areas for you and all your family and friends. Open concept kitchen, dining and living area is flooded with natural light. Cathedral ceiling gives the feeling of abundant space. Granite counter tops, Stainless appliances, tile and wood floors throughout. First floor family room ready for &apos;game day&apos; plus Glass sliding doors to a private back deck. Just right for grilling season. Upper level includes a large, light filled master en suite and two more bedrooms with a full bath. Covered entrance deck allows even more room for enjoying the out of doors. Neighborhood is easily accessible to Route 3 but tucked away from the hustle and bustle. Viewing the night sky is an added bonus. Own your own piece of heaven in the White Mountains.